The nation’s leading source of news and information for the legal industry. 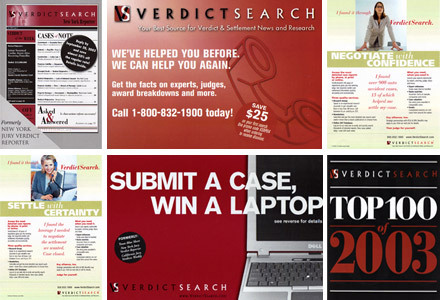 A $1 million annual marketing and circulation budget, which included the marketing and sales for 13 specialty / technical publications, a consulting group and an online research database and all sales channels. Developed the first marketing plan to distinguish the brand, gain new business, improve customer retention and increase profitability. Developed and implemented the strategic direction, marketing focus and sales strategy. Consolidated and re-launched 3 different regional name brands and a dozen products under one new, stronger, national integrated brand name. Created new advertising campaigns, DM materials and oversaw 15+ trade shows annually. Directed ad sales, telemarketing and enterprise sales teams and partnership initiatives. Launched several new products and three new services. Hired, supervised and trained staff of 11 marketing and sales professionals. Copyright 2019. The Highbloom Group. All rights reserved.